Classic 40 Foot SteelClipper manufactured in 1959, the fourth one ever built, all steel lower and mahagony upper. New fuel tanks, new hynautic controls. 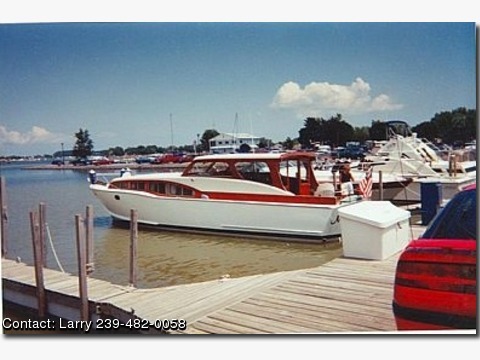 Very nice weekend getaway boat or live aboard. twelve years on a boat lift behind my house under a canapy in Fort Myers, FL. I am the third owner and have owned the boat for twenty years.